A bilateral project supported by the EEA and Norway Funds - the Bilateral Relations Fund, is a continuation of the Jaroslav Fragner Gallery's collaboration with Norwegian and Icelandic partners. With them in recent years, the gallery has realized a number of successful projects aimed at linking architecture, fine arts, public space and landscape. An enormous interest of the professional and lay public and students of the “ARTSCAPE NORWAY” and “ARTSCAPE ISLAND” projects convinced us that the topic and international cooperation are a crucial and welcome contribution to the discussion of the relationship between architecture, art and landscape. The first objective is to organize a student workshop under the lead of a top specialist from Norway and a one-day professional conference with lectures by experts from Liechtenstein and Iceland. Both will take place during the international Landscape Festival Ostrava 2019. The second objective is a series of meetings of the Czech organisation with partners from donor countries in order to plan a two-year follow-up project, inspired by the previous mutual collaboration, and submitting of a related grant application in 2019. The main point of these three meetings is preparing of an upcoming two-year project focusing on the relationship between the urban industrial landscape and its overlapping into natural surroundings and architecture and visual arts as a sustainability indicator. The project will build on the previous successful ARTSCAPE NORWAY and ARTSCAPE ICELAND events and will, in the Czech context, provide a deeper understanding of the donor countries' access to the issue.. The main themes of the planned two-year grant will be the revitalization of industrial zones, the improvement of public space as an integral part of sustainable future. Realisations created during this project will focus on planning, implementation and care of the inner city space that was often in the past designed dominantly for the industrial use. It is necessary to find new functional purpose of this space in view of changing conditions of nowadays and demands of both economic and social character. The second goal is a multidisciplinary student workshop and expert conference organized within the Landscape Festival Ostrava 2019. The workshop leader will be the renowned architect Sami Rintala, whose architectural studio RIntala Eggertsson Architects, which he founded with his Icelandic colleague Dagur Eggertsson, is based in Oslo. The experience gained here will bring the students an international perspective and inspiration from countries where the relationship of architecture and fine arts to the landscape has been cultivated for decades. At the same time, it will help them move beyond the Czech and Central European context and gain insight into the situation in donor countries. One-day international expert conference – a seminar will be attended by leading experts from Liechtenstein, Iceland and the Czech Republic. 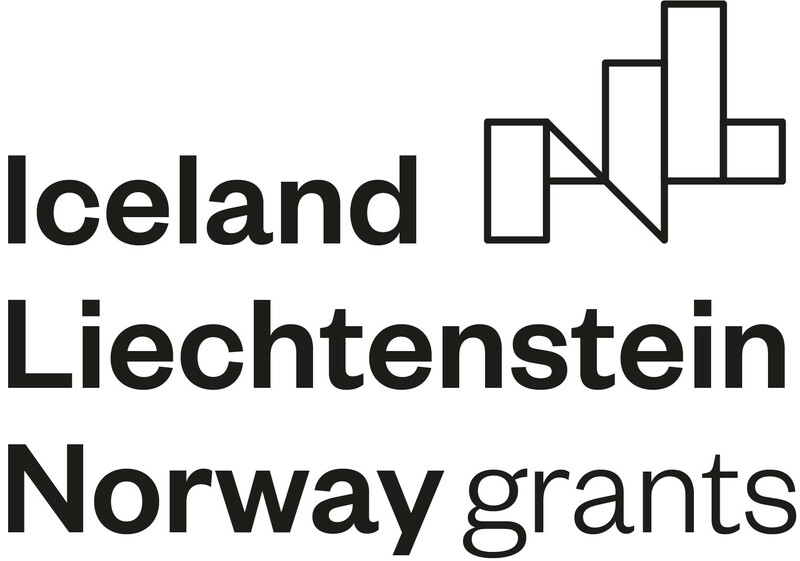 The topics of the lectures will involve architectural and artistic interventions in public space countries in Norway, Liechtenstein, Iceland and the Czech Republic. The target groups as well as the other active participants of the event will be representatives of the professional public, university students with a focus on architecture, urbanism and art and representatives of the public administration. A free-to-watch conference recording with all the lectures will be placed on the website of the initiative. ROM – is a non-profit organization based in Oslo, whose main mission is to promote innovative arts and architecture. To achieve it, it organizes lectures, exhibitions, conferences and organizes installations and artistic events in the public space. It consists of two institutions: the Gallery of Architecture and the Institute for Art in Public Space. ROM was also an important partner of the previous Artscape Norway and Artscape Island projects. The Institute of Architecture and Planning at the University of Liechtenstein – has been an autonomous Institute of the Liechtenstein University in Vaduz for more than half a century. The school focuses on economically, ecologically and socially relevant topics of sustainable construction. One representative of the Institute of Architecture and Planning will take part in a seminar – a conference in Ostrava at the Ostrava 2019 Landscape Festival. This will most likely be architect Robert Mair, who has already attended an architectural conference in Liberec in 2016, where he also presented his paper. FILA / Association of Icelandic Landscape Architects – based in Reykjavik has more than 80 members across the country. All members work in a wide range of activities between design, organization and management in urban and rural areas. Landscape architects contribute to preservation of natural and cultural landscape to ensure a safe, economic and beautiful environment for people in urban and rural areas. FILA will send one delegate to the September 2019 Landscape Festival conference. The visit of Landscape Architect Hermann Georgh.Gunnlaugsson is pre-arranged. Rintala Egertsson Architects – is a world-famous architectural studio on the field of architecture and fine arts. It was founded in 2007 and is active till today. Many projects are based on architectural workshops. Architect Sami Rintala will be the head of the international workshop in Ostrava.